Last year's pottery class didn't quite get finished with firing some of the pieces. Here we are 5 months later and I've finally picked up my last 3 pieces! 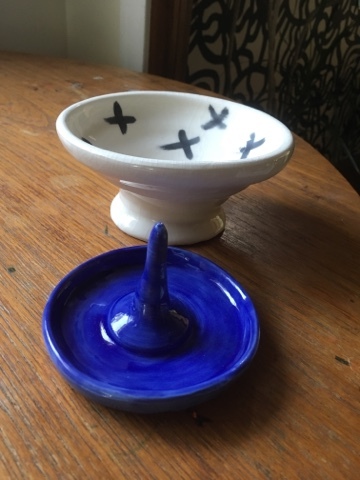 Here are two: both hand thrown pieces- my blue ring dish and cross bowl.